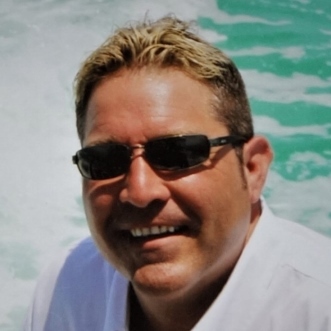 Jay William Maro, 46, of Key West, FL, formerly of Bristol, passed away peacefully on Monday (October 15, 2018) at Mercy Hospital in Miami, FL. Jay was born in Bristol on January 11, 1972. He was a graduate of Bristol Central High School and member of the Class of 1990. Jay’s passion was making people feel good and leave them laughing (a gift he had, and we should all live by). Jay’s big heart always put others first. Jay loved his Red Sox and loved living his life for the past six years in Key West. He will always be remembered for his quick wit, his infectious smile and his kind and compassionate spirit. He joins his predeceased father, William Maro, and leaves behind a sister, Deana Maro of Bristol, a brother, Craig Maro of Bristol, aunts, uncles, and many cousins that meant the world to him. The celebration of Jay’s life will take place with calling hours on Sunday (October 21, 2018) at Funk Funeral Home, 35 Bellevue Ave., Bristol, between 4 and 7 PM. A Mass of Christian Burial will be celebrated on Monday (October 22, 2018) at 11 AM at St. Anthony Church, 111 School St., Bristol. Burial will follow in St. Joseph Cemetery, Bristol where he will be laid to rest with his father. Those attending on Monday may proceed directly to church. In lieu of flowers, please make memorial donations to the American Diabetes Association, 2080 Silas Deane Highway, 2nd Floor, Rocky Hill, CT 06067, or to the Bristol Boys and Girls Club, 255 West St., Bristol, CT 06010. Please visit Jay’s memorial web-site at www.FunkFuneralHome.com.